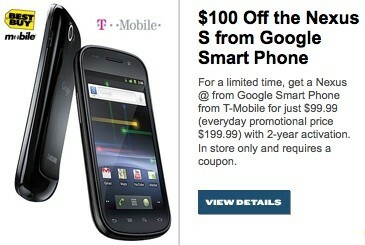 Had your eyes on a Nexus S but still haven’t taken the plunge? Then it looks like that indecisiveness has finally paid off, as Best Buy has now knocked a full $100 off the phone for a limited time if you’re signing up for a contract. That’s from today until March 23rd, to be precise, and it seems that your local Best Buy doesn’t even need to be a T-Mobile dealer for you to get the deal — you’ll just have to get the phone shipped to you. Hit up the link below for all the details. Best Buy knocks Nexus S down to $100 on contract for two weeks only originally appeared on Engadget on Thu, 10 Mar 2011 17:35:00 EDT. Please see our terms for use of feeds. The FCC has put a bounty on the heads of all the cellphone-hating vigilantes out there. These GPS and signal jammers are particularly popular amongst theaters, quiet restaurants and in many school systems fighting the good fight against sexting during class. 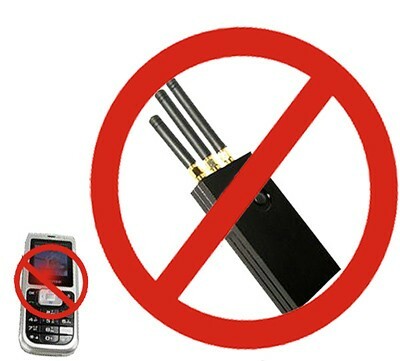 The FCC is calling on folks to stop and to report their neighbors for using these devices — reason being that they pose serious health and safety risks by interfering with 911 calls and other emergencies in the vicinity. So if you know a so-called ‘jammer,’ don’t hesitate to file a complaint about them to the FCC — the info can be found at the source link below. FCC going after cellphone jammers, could land users in the slammer originally appeared on Engadget on Thu, 10 Mar 2011 17:01:00 EDT. Please see our terms for use of feeds. Aircell started putting its air-to-ground (ATG) mobile broadband technology in planes about three years ago, and its GoGo in-flight internet’s reach has grown ever since — all the way up to the home of mavericks and mama bears. Presently, the company’s ambit is limited to the continental US, but that’s about to change with the addition of Ka-band satellite coverage that will blanket the US in 2013 and the globe by 2015. Yes, dear readers, that means you’ll be able to poke, tweet, and blog your way over international waters. Not only that, next year a new ATG-4 network using EV-DO Rev B promises four times the capacity of its trusty Rev A service we’ve come to know and love. The company says both upgrades are cheap and easy for carriers — if only they were rapid as well. PR’s after the break. Aircell releases GoGo tech roadmap: EV-DO Rev B in 2012, global satellite coverage by 2015 originally appeared on Engadget on Thu, 10 Mar 2011 16:39:00 EDT. Please see our terms for use of feeds. This entry was posted on March 10, 2011, 6:08 pm and is filed under Mobility. You can follow any responses to this entry through RSS 2.0. Both comments and pings are currently closed.